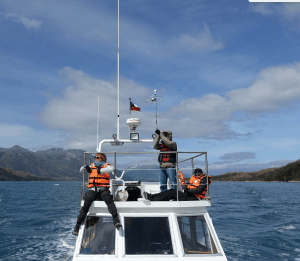 Camila Marambio and Christy Gast were invited to observe Whale Sound, a joint tourism and scientific effort, during a two-night cruise to their base camp at Isla Carlos III. 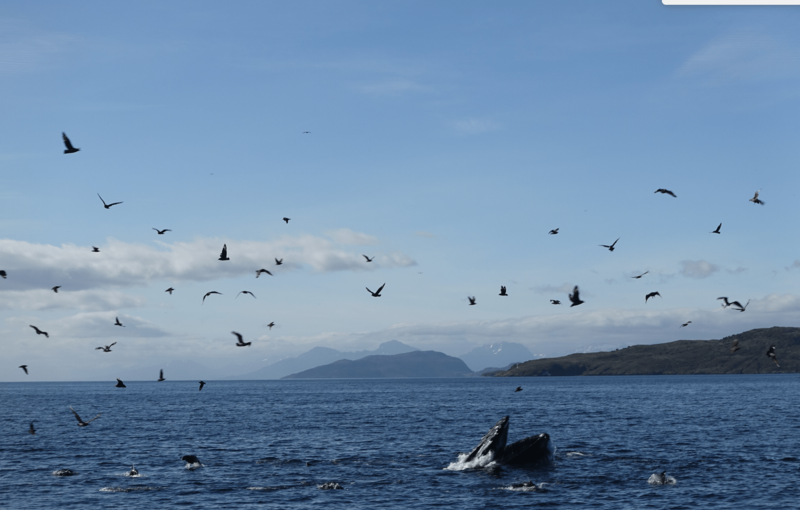 For three days and two nights, scientists and tourists navigated through the fjords of Parque National Francisco Colane, where a resident colony of humpback whales spends the summer. 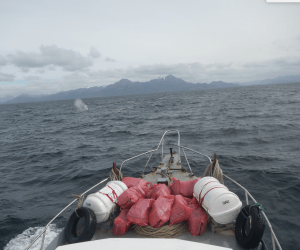 Scientists studied the whales’ movements and associations, sharing their research and thoughts with a small group of tourists from Europe and South America. Ensayo #4 focuses on coastal development and marine resources. Whale Sound is developing a sustainable model of tourism, which supports their scientific research program.